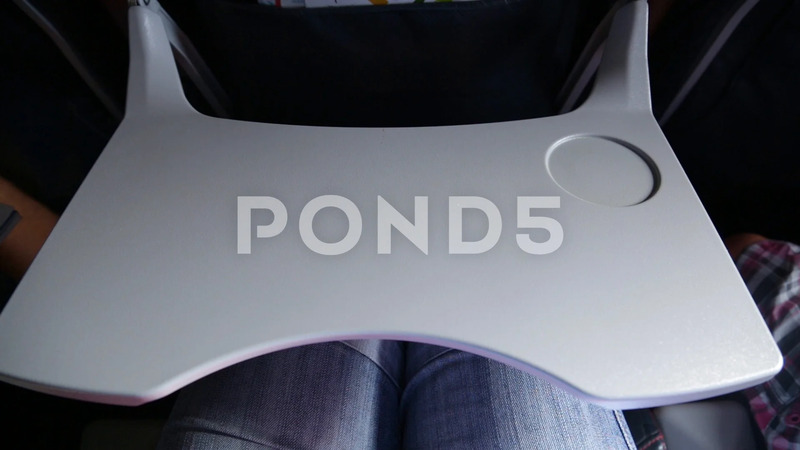 Description: Closeup point of view shot of open tray table attached to back of seat in plane. Passenger ready to have snack during flight. Real time full hd video footage.